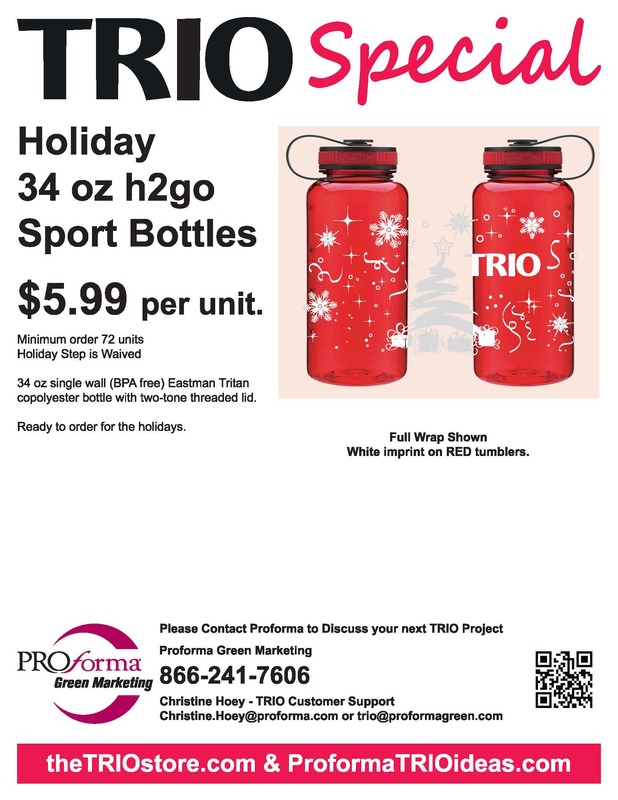 TRIO Holiday Sport Bottle Special. A holiday twist to the best selling TRIO water bottle on 2014. $5.99 per unit. Great container for stuffing with candies.